remembering and blessing him, now and forever. hear our prayers, O Comforter. we know You share our sorrows and pain. roll away the stone of our hearts, we pray. help us so renounce vengeance and strife. and pour your comfort like a balm over them. for You alone my soul in silence waits. for I know indeed that You are my home and my shelter. in each breath we take. to live eternally in You. embracing the light of God. and grant your protection to those for whom we pray. 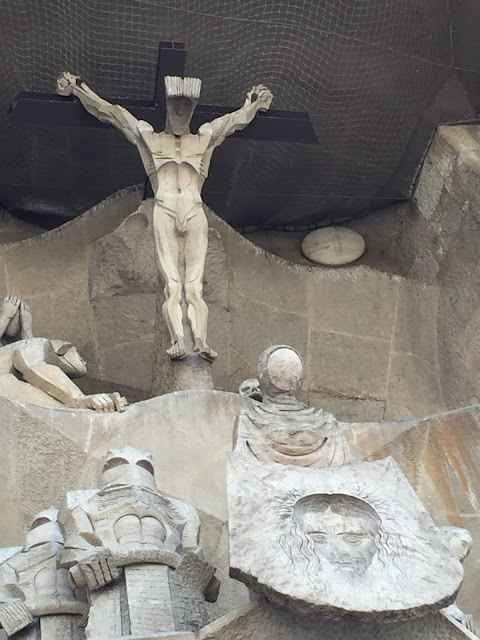 Photo: The Crucifixion from the Passion side of La Sagrada Familia in Barcelona. inviting your Spirit deeper into our hearts. where all are fed, cherished, and honored. to love and protect each other in truth and in action. 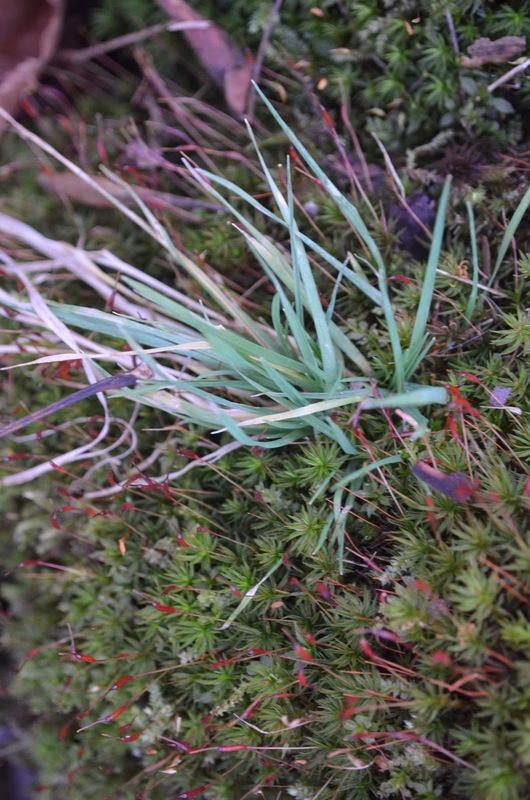 your compassionate embrace of all who feel broken or lost. just as you laid down your life in ransom for all. and ask your protection upon those for whom we pray. that I may sing your praises from the depths of my heart. and a heart to love others as I love myself. 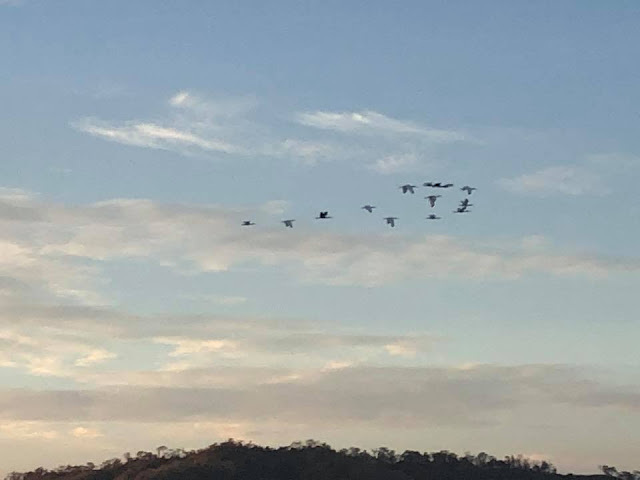 Photo: birds in formation over the beach at Tambor, Costa Rica. brought within the enclosure of your grace. turning aside from all that is evil. embodying your healing presence in the world, O Savior. and ask your blessing upon these beloveds. 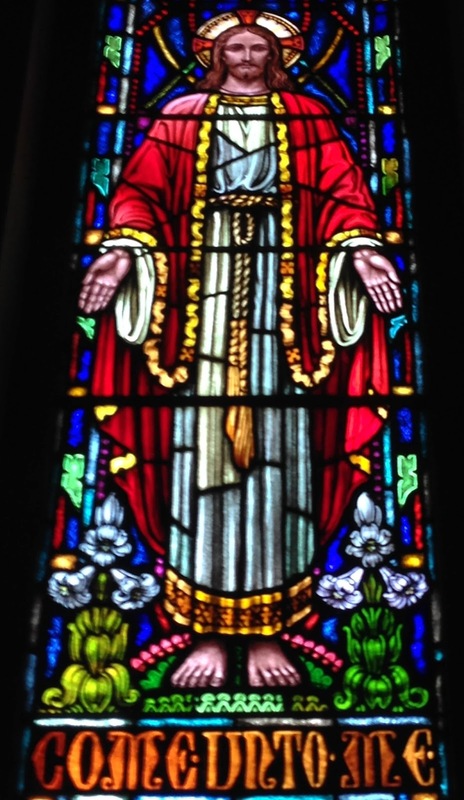 as we turn our faces toward the Pascal feast. to claim the name of Christ as our own. seeking reconciliation and renewal with all creation. and dedicate ourselves to embodying your healing presence. and envelop within your care all whom we now remember. accept our prayers and praises as we worship you in unity. that we may embody your example in the world. with humility and joy, grateful for all You have done for us. that we may work for the reconciliation of the world. Photo: A view of the Pacific, framed by palm leaves. which has guarded us through the night. upheld by the love You implanted in us. that we may live in justice, security, and abundance. and remind us to look for your divine image in everyone we encounter. all those whose needs we bring before You. 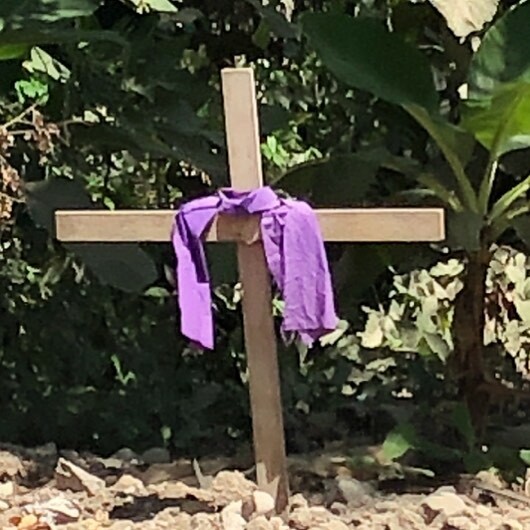 Photo: Lenten crosses decorate the entryways of homes all throughout Costa Rica. I thought about the symboliss of this image as I was unable to participate in one of the Marches for Our Lives taking place all ove the US. 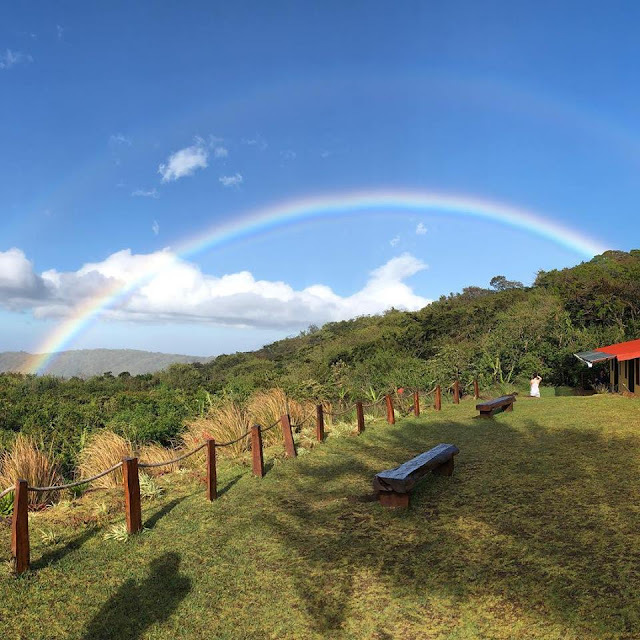 Photo: A double rainbow in the Cloud Forest at Monteverde, Costa Rica. May our prayers rise to you on the breath of morning. forgive, O Merciful One, forgive. that we may hold fast to your truth. over those we now name, as we humbly pray. 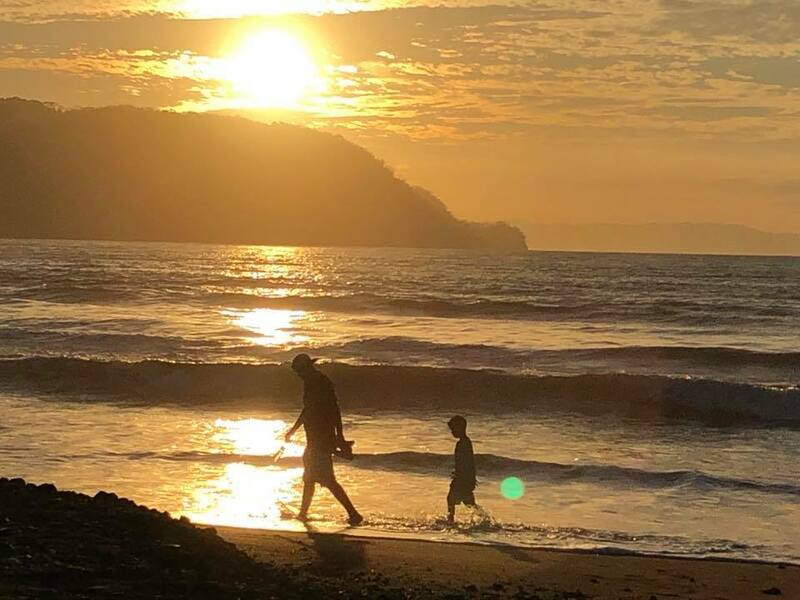 Photo: A father and son walk along the beach in Tambor, Costa Rica, at dawn. that we may love each other with generous spirits. embodying your wisdom and shalom. loving and true as your disciples. and ask your blessing on those for whom we pray. 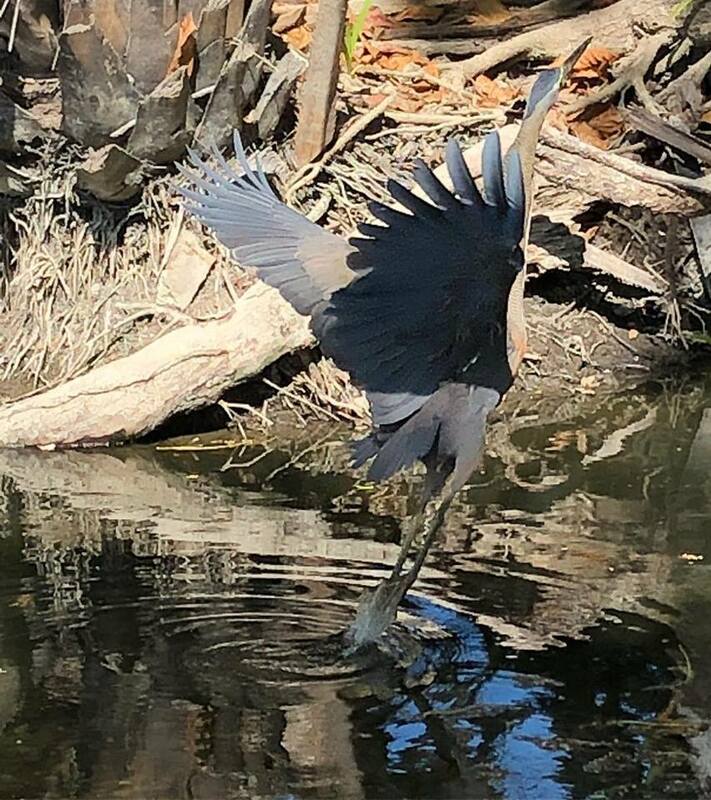 Photo: A heron rises from the estuary near the Barcelo Tambor resort in Costa Rica. 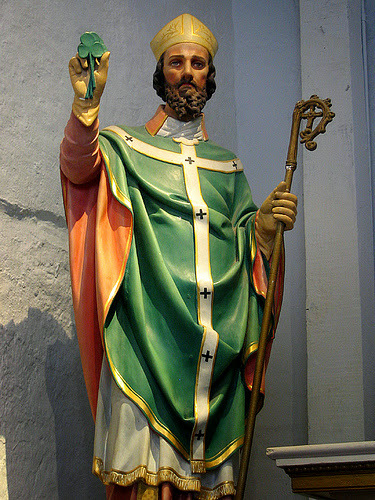 and remember You are with us always, living and true, calling to us in love. that we may serve the One who gave his life as ransom for many. Precious Savior, hold us in the hollow of your hand, and bless and keep those for whom we pray. and your blessing of us with creation. our true advocate, Savior, and guide. empowered by your Holy Spirit. for we all stand in need of your comfort and strength. placing our lives in your hands. that we may walk in charity and compassion all our days. calling us to kindness and compassion. as witnesses and children of God's mercy. and press the kiss of your blessing upon those we now name. 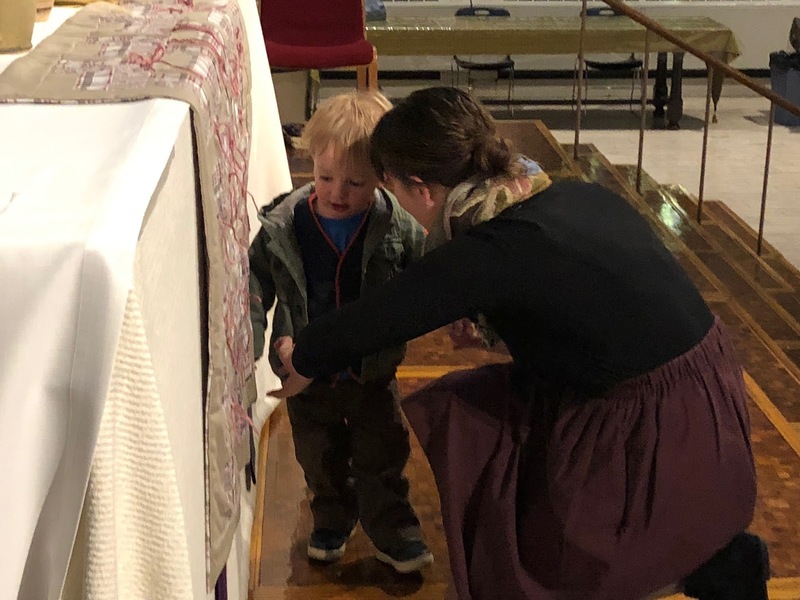 Photo: A Mom helps her little one tie a knot in a strand on a prayer quilt at Christ Church Cathedral. Recipients of prayer quilts then see and touch a token of the prayers being offered for them. in times of joy and in times of trouble. that we may always walk before You. as we seek to be your disciples. and send your angels to guard us night and day. and place your blessing upon those we now name. seeking our path within your mercy and grace. and the source of all their power. the greatest of all your gifts. bought and consecrated as they have been by your love. Inspired by the daily office reading of 1 Corinthians 12:27-13:3. 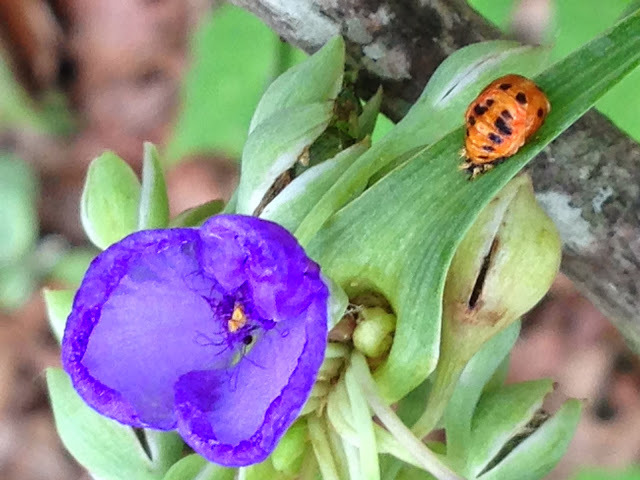 Image: Wildflower and beetle, Osage Forest of Peace, Sand Springs, OK.
as we seek to live into your witness of reconciliation. to walk humbly and ever closer with our God. Today, may we set our feet firmly in this pilgrim path. upon those whose needs we bring before you. by the precepts of peace, justice, lovingkindness, and virtue. where all enjoy the blessings of ease, contentment, and security. 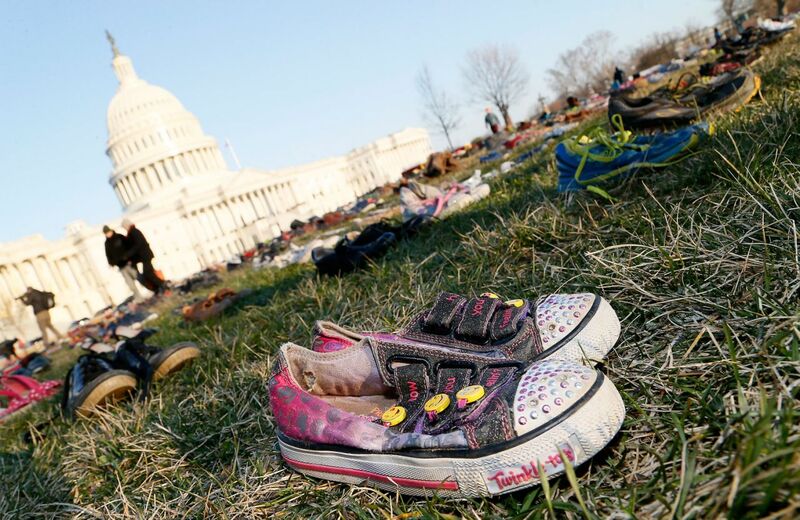 Image: 7,000 pairs of shoes were placed as a memorial on Capitol Hill on March 13, 2018, in remembrance of the more than 7,000 children who have been killed by guns since the massacre at Sandy Hook Elementary in Newtown, Connecticut on December 14, 2012. Photo by Paul Morigi for AP Images and Avaaz, the organization that installed the memorial. Today, March 14, 2018, marks one month since 17 were killed and scores wounded at the shooting at Marjory Stoneman Douglas High School in Parkland, FL. Inspired by today's Daily Office reading from Mark 8:1-10. 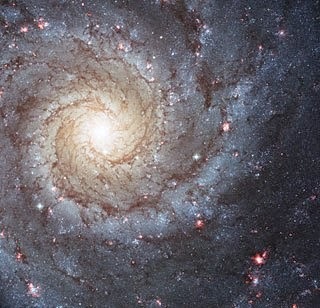 Image: Spiral Galaxy from the Hubble Telescope. without concern for the damage inflicted. 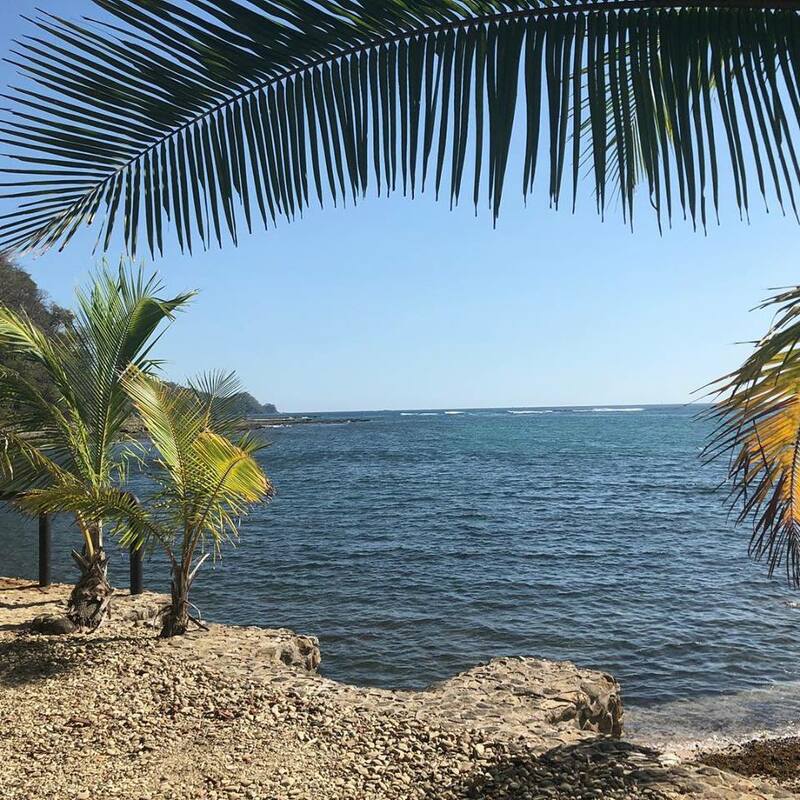 away from our embrace of death, greed, and destruction. living in the knowledge of your presence and grace. as our crown and our shield. your unfailing comfort and strength to those we now name. We are here today to talk about blessings. It may be hard to think about blessings on the day that Daylight Savings Time starts, when we’ve all been deprived of an hour of sleep, but here we are, we the proud, the brave, we who are planning on a nap later on today. Last week we heard Jesus compare his body to the Temple, and we were reminded that God blessed and sanctified us in our bodies, too. 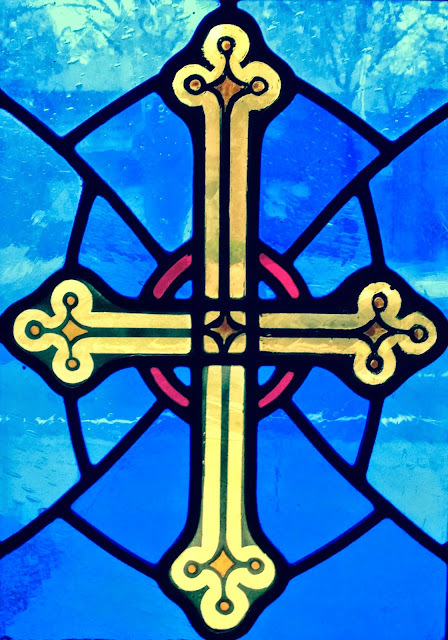 In taking on our flesh, our human life, God continues to tear down the walls WE build to separate ourselves from God, and to remind us that God lives and loves within each of us right now, and through Jesus God keeps reaching over those walls and pulling us all over the top and never giving up on us. In today’s readings, we hear about the blessings of light, of healing, and especially of love. As a Pharisee and yet a seeker, Nicodemus is a man torn between two worlds, just as the church members in Ephesus were, and frankly much like many of us are. He recognizes the delicate situation he is in. 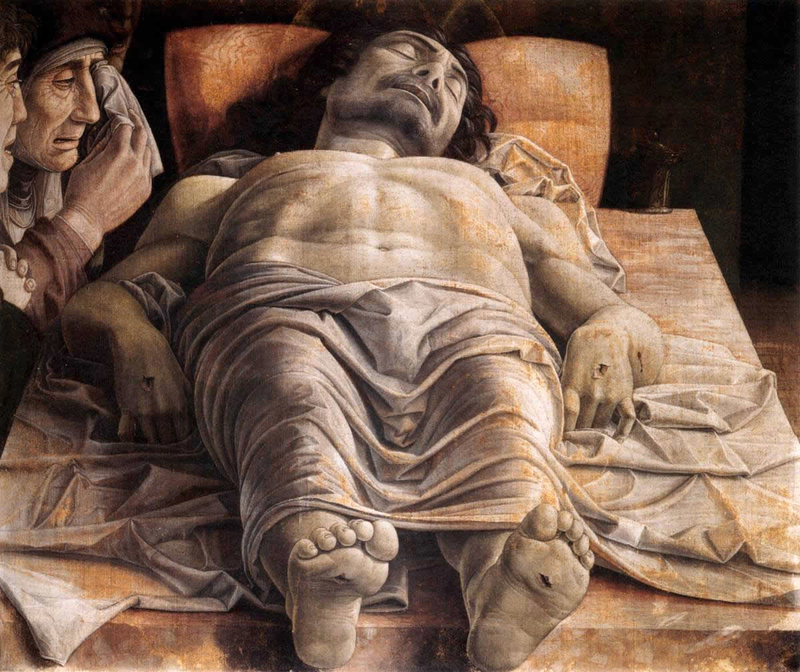 Following Jesus will probably cost him everything that has been important to him thus far in life, including his reputation and position within society. 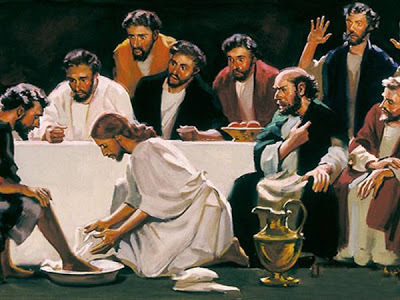 And Jesus doesn’t make it easy for him, speaking and what must’ve seemed like riddles, as Jesus is prone to do throughout much of the Gospel of John, in particular. It must have been a long, humbling night for Nicodemus. Yet thinking about being born to a new life in Christ is a fruitful metaphor. We are born with an abiding hunger for connection, and for meaning even from the time we are infants. Babies want to be embraced, and they want to be fed. God helps this along by making babies helpless and also adorable, which goes a long way toward making up for the smell. With our poor eyesight, as infants experience the world as infants mostly through out hearts, and our bellies. Babies get anxious when either of these are not full—and I am persuaded that frankly, those feelings of hunger, especially spiritual hunger, remains one of the driving forces in our lives—one that we ignore or misuse at our peril. Nicodemus feels a spiritual hunger, and rather than ignore it, he sets out to try to find what would fill it. And so, he is drawn to the light of Jesus. I wonder if many of us don’t identify with Nicodemus’s hunger, with his search for understanding that will lead to peace? It’s what we all want. Yet, another truth about sudden bursts of understanding is that they change you. They open you up in ways you hadn’t anticipated. And the knowledge Nicodemus and all of us are being asked to take hold of promises nothing less than to change the entire orientation of our lives, from inward to outward. We are being asked to embrace Jesus as our Savior, as the source of life—right now. Our hunger for God within us brings us to this point, and calls us to repentance, to change. That change is scary. It means letting go of the familiar. But what will we gain? How is a Christian’s life changed when he or she embraces Jesus as Savior? In our epistle, Paul states here that it is the difference between death… and life. We are asked to embrace our brokenness, and allow the light of Christ to wash over it. Paul equates sin with death and that can scare us as only Paul can—he’s really good at it. But when we are weighed down in a life of sin, we are dead to all the beauty of the world, and dead to living a life of love and faithfulness to something outside ourselves. And that means being honest about our own sinfulness, both individually and collectively. We are afraid to be seen. We are afraid, especially, to be changed. Yet all our fear aside, we ARE seen by God. We are known by God. Psalm 139 beautifully reminds us of this when it begins, “Lord you have searched me out and known me!” and goes on to recount God’s intimate love and intimacy with each of us. It’s the change thing that requires our active engagement. To fully step into the light of Jesus, we need to leave behind those things that tie us to darkness, and that, in the end, don’t nourish us. Too often we concentrate on how we are separate from others, and fearfully seek to protect ourselves against the perceived threats that others may pose to us through competition in seeking to fulfill their OWN desires. This, to me, seems to be the ultimate crisis in our modern western society. For every passage like this, Paul also usually provides another passage reminding us that we are part of the Body of Christ and thus part of each other (such as 1 Corinthians 12-13). When we look at THOSE passages, we are reminded that the gospel of Christ is one of abundance: abundant mercy, abundant grace abundant kindness, and abundant healing. And that abundance is found within community, not against it. As both our gospel and epistle attest, Christians are saved by faith and through grace, given to us by God’s immense love for us. We have not done anything to earn this salvation from death to life. And yet, Paul’s words attest to the abundance of God’s love—abundant beyond our imagining, especially. Listen to the words again! The description of God in our epistle is borne out in our gospel today. Paul states that “God is rich in mercy,” bearing us “great love” as we benefit from the “riches of his grace,” --even when we have completely rejected calls to repentance. And here we see the blessing of healing that runs through all our readings, as well. 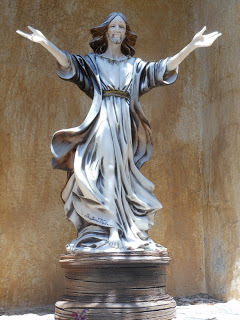 Living as one of us, and dying as one of us, Christ in particular can reach into the shattered places in our spirits, and restore us from the shadow world in which we have lived into newness of life. Sometimes those wounds we bear were inflicted on us. Yet, other times, our own choices have wounded us. But God is always there. Our psalm reminds us that God hears our cries in trouble, and reaches out to heal us. Sometimes, when we consider the pain our choices have brought ourselves and others, we cannot believe that God loves us that much. Yet our gospel addresses this too, in probably one of the most quoted verses of all time. John 3:16 is probably one of the most quoted verses in all of scripture, but it is also an important link that holds together all of today’s readings. God’s gift of Jesus to the world, as God’s son, can draw those who truly see Jesus’s light to a life with God if they believe in Jesus—only through faith (vv. 16-17). Yet that same verse can be misused, and can become a magic talisman—kind of like that serpent on a pole in our first reading, which eventually was destroyed hundreds of years later, because the people had started worshiping it instead of seeing it as a reminder of when they had once again responded to God’s love with muttering. One of my personal, petty frustrations is the commercial that sometimes come on TV with this goateed, jeans-wearing preacher intoning that, if you feel lost, all you have to do is pray something similar to the sentiment in John 3:16, and you shall be saved. And then presumably go about your business, having checked off that box to keep your soul from hell, but the implication is that nothing else is required. Our readings from Paul and from our gospel specifically make clear that merely stating a formula is NOT enough. Too often, people use John 3:16 to talk about condemnation, or worse, to put off accepting God’s main blessing for us. Too often, people use it to focus on the afterlife, rather than talking about our lives right now. And that’s not the case: the English teacher in me wants to point out that Jesus is talking in the present tense. Eternal life is within us right now. We don’t have to wait for it. But we do have to allow it to take root in our hearts and change us. The problem with the usual use of verse 16 is this: It reduces being a Christian to the fulfillment of a formula, and leaves out repentance and discipleship. That’s why John 3:17 must also be included to complete the thought: “Indeed, God did not send God’s Son into the world to condemn the world, but in order that the world might be saved through him.” Jesus then again identifies himself with light—light that enables us to see, and choose the path of salvation—not salvation in some distant time in the future, not eternal life some distant time in the future, but salvation—starting right now, right where we are. That change leads us to this wonderful knowledge: that God’s presence is within us. 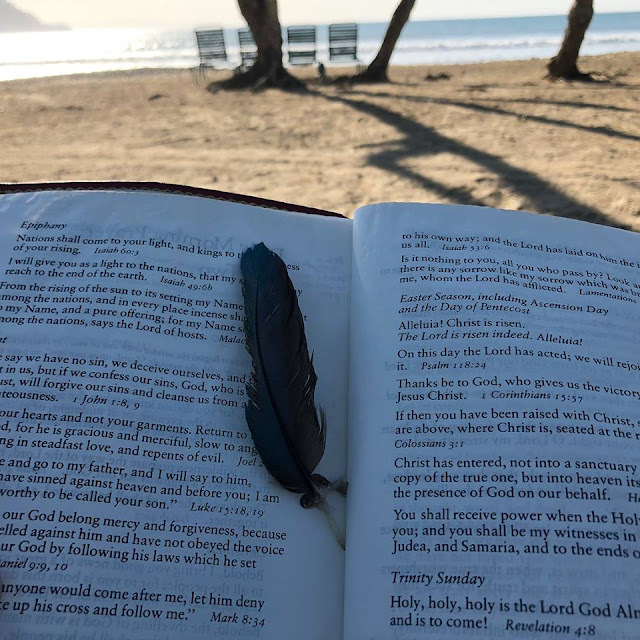 We are called to open ourselves to that knowledge, acknowledging that we need God’s healing presence in our lives, and allowing that healing to work within us to change us. It means taking seriously the amazing gift of God’s love for us, as flawed and worn down as we can sometimes be, and let that light of that love pour over us. Eternal life starts right now. It starts with understanding ourselves as living—right now-- in the presence of God. Right where we are. God loved us in this way, that God gave us God’s only Son. And why? So that NO ONE feels hungry, or empty, or lost—so that everyone can have a whole and lasting life. That Son didn’t come into the world to condemn us, but to save us, and remind us of who we are: Beloveds of a God who loves us and longs for us so much that God continually reaches out to us, asking us to align ourselves with God’s economy of abundance, grace, and peace. We are Beloved of God. And as God’s Beloveds, we are called to bear God’s light into the world. (1) Barbara Brown Taylor, in “The River of Life,” in Home By Another Way, 36. 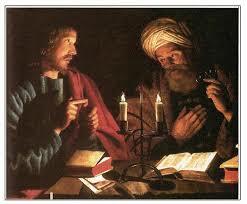 (1) Crijn Hendricks (1616-1645), Jesus and Nicodemus, from wikimedia. 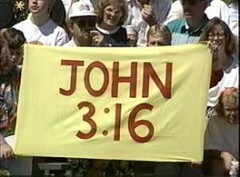 (2) A random sports fan holds up the ubiquitous John 3:16 sign at a sporting event. Preached at Church of the Transfiguration, Lake St. Louis, MO, on March 11, 2018 at 8:00 and 10:15 am.